Trixie came about after I read The Snow Child by Eowyn Ivey. The story took place in Alaska, a perfect read during the sultry Australian summer months. 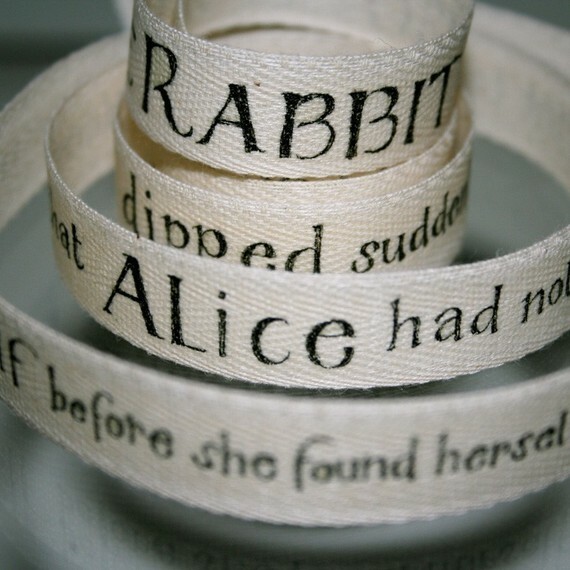 It’s a fairy tale written for adults about a childless couple thriving in the Alaskan wilderness, a mysterious girl who may or may not have been made out of snow accompanied by a red fox, and unexpectedly, sewing. I miss my dirndls. That’s right, I owned not one but two dirndls and I used to wear it un-ironically (it also doubled as a Halloween costume—wherein during the day, with a red cape, I was the Little Red Riding Hood as not to offend my students and colleagues. At night, however, I became an Oktoberfest beer wench. Dirndls are marvelous things). 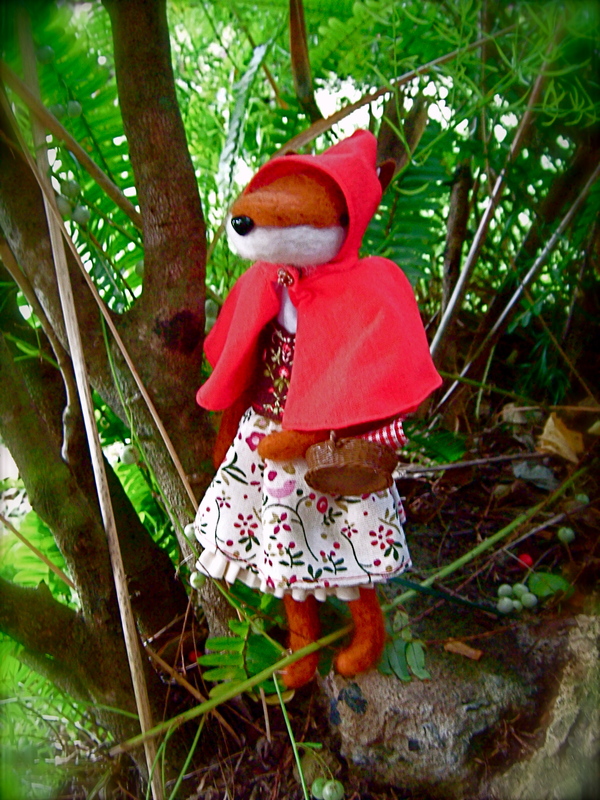 When it’s time to choose an outfit to make for Trixie, I went straight for the Little Red Riding Hood ensemble since it’s a great excuse to make a mini dirndl. I also made a little button clasp shaped like a pretzel. Perhaps there’s a larger one in the works for myself to wear? I used to hate my birthday because it’d either A: fall on Labor Day weekend and everyone’s away or B: fall on the first day of school. But since I’m no longer a student or a teacher and living in a country where Labor Day doesn’t exist (well, not in September anyway) and have a husband who knows what’s good for him, I look forward to it every year! A birthday paddle (because we’re carbon neutral), a nice meal, presents, and of course, a big decadent cake…what could be better? Unfortunately, due to impending health issues that’s doomed to arise after my gluttonous journey to Taiwan, I decided that, in order not to lapse into a diabetic coma, I better eliminate my sugar intake altogether. 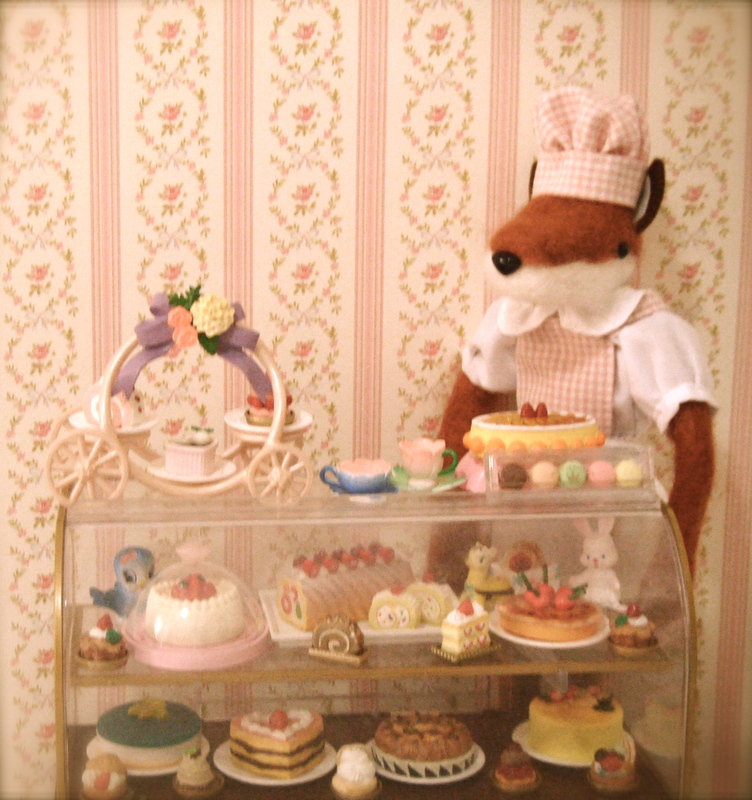 But what about my customary birthday cake? It’s not a problem! 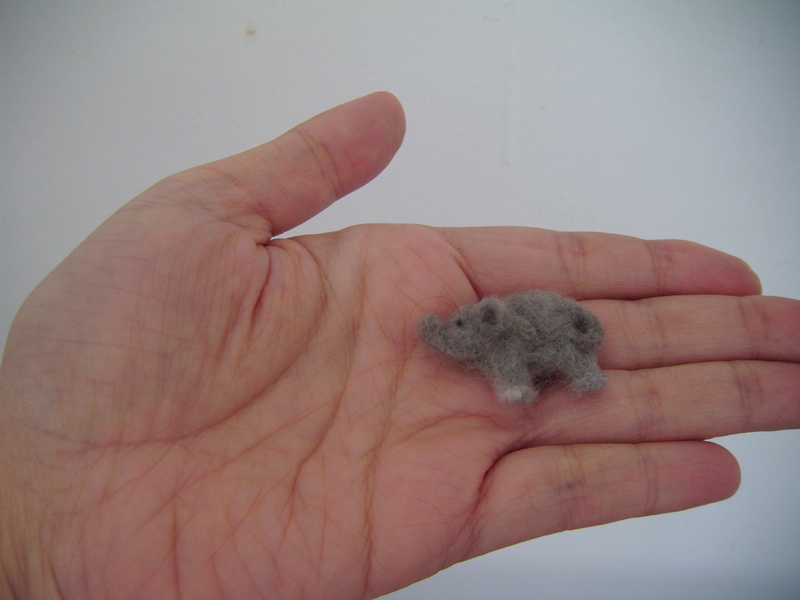 I made one out of roving wool and a needle! 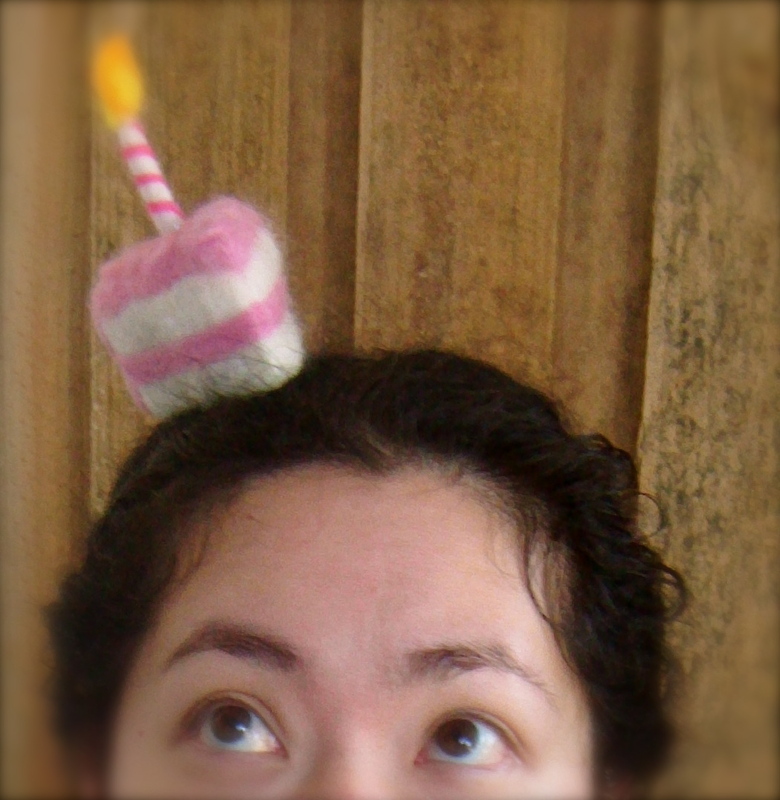 Best of all, this is a cake I can wear as a hat! Of course, the Hubs wouldn’t allow me to wear it outside for my birthday paddle. But it’s all right. I got not one but two DVD players from him! 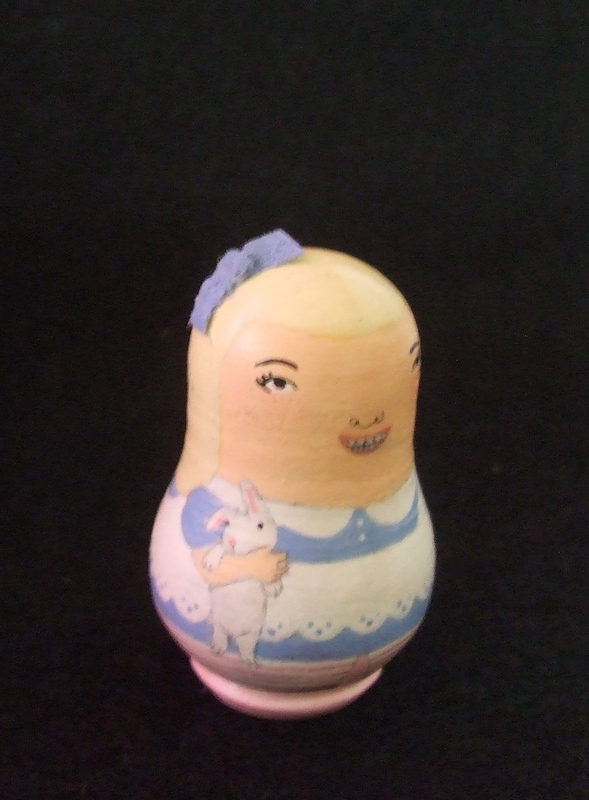 Now, I have been working feverishly on nesting dolls too—don’t think I’ve slacked off. 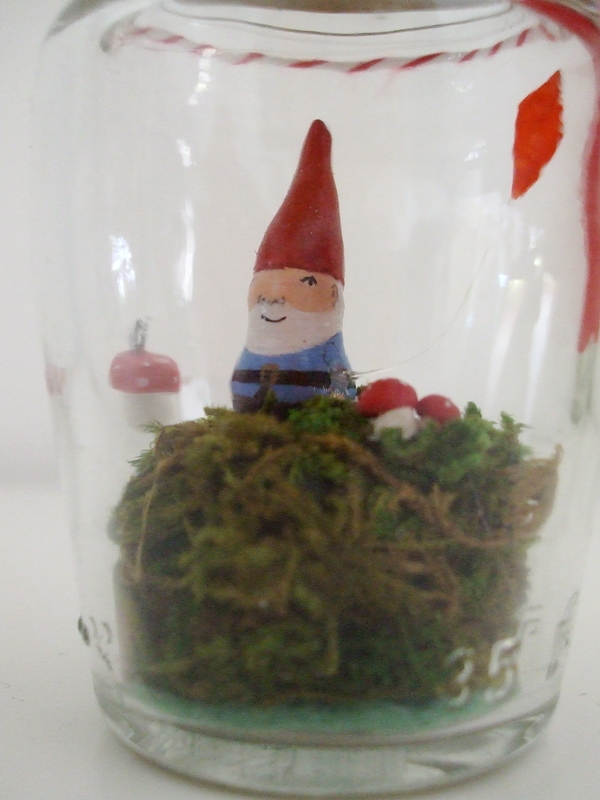 There are some fun projects I’m dying to get started on as well, so stay tuned! 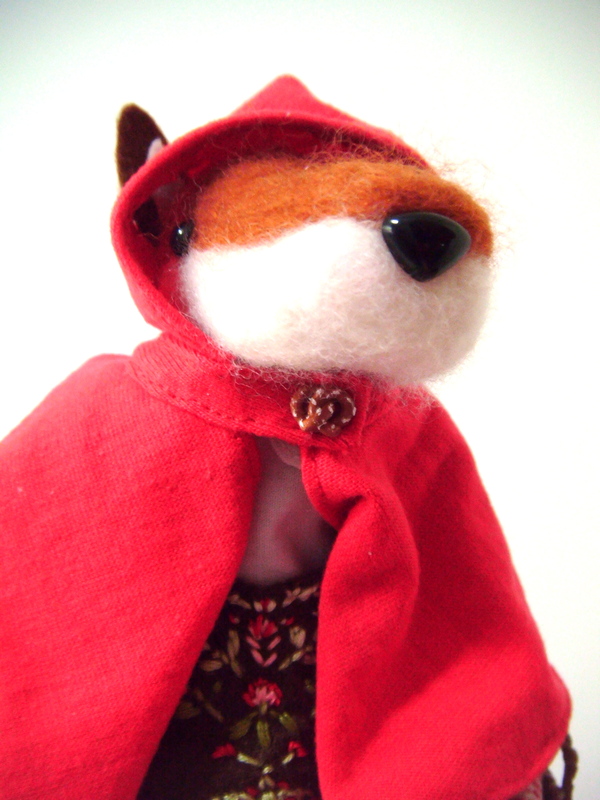 I’m a little upset at myself for jumping in so late in the game, but omg, needle felting is so my bag! This is coming from someone who is absolutely hopeless at knitting and with sewing skills that can only be described as amateurish. 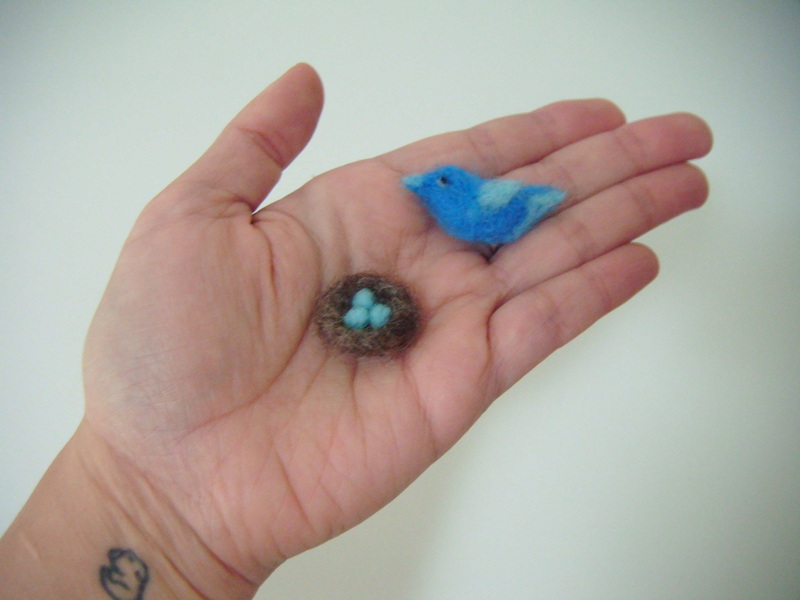 All you need is a ball of wool roving, a piece of foam and a felting needle and off you go! 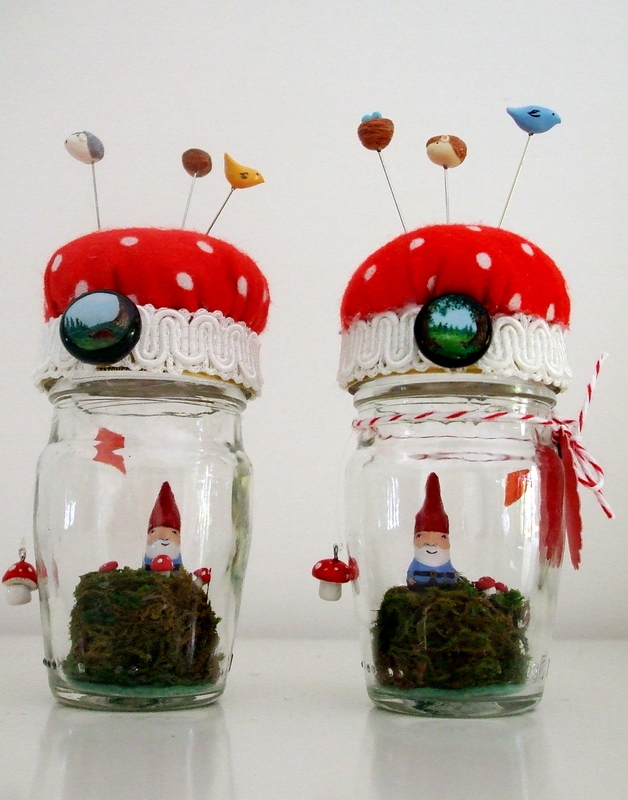 I’ve never been the type to just sit around and stare at the TV, so this is a perfect project for me during downtime. I’ve been meaning to get a few small pieces done for some jewelry I’m putting together and the bits I’ve found for them seem wrong. 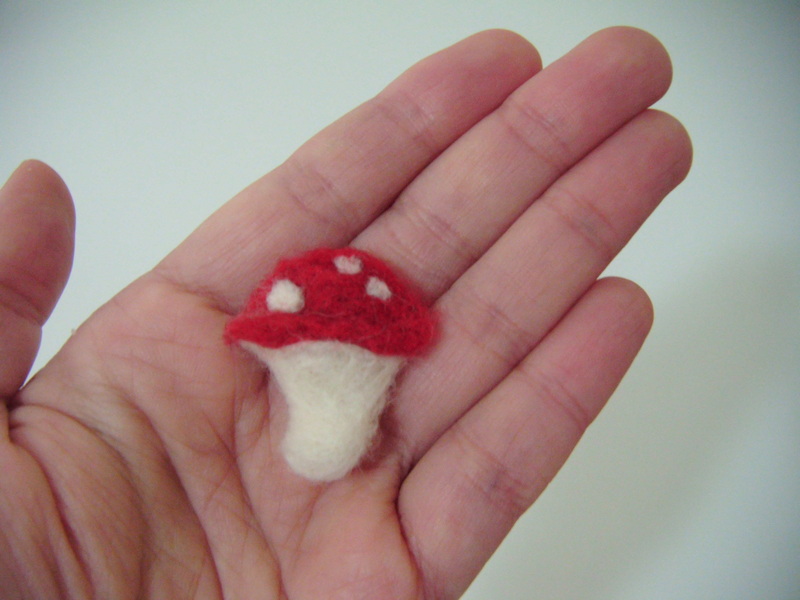 So I trolled around for some alternatives and I felt so strongly about the needle felting that I immediately pounced on it. This was my first attempt. The hardest part was trying not to hurt myself. The nest with eggs took all of one commercial break. This is a thrill for me since I tend to spend untold hours painting one element at my work table! 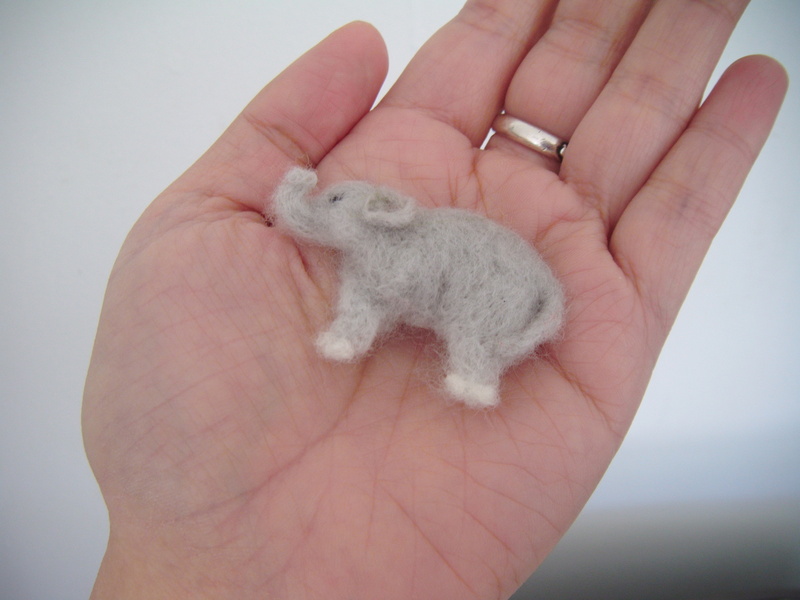 The first elephant was okay, but I want a smaller one. As soon as I get my supplies, I’m going to make some Peeps and scatter them around the house to see if the Hubs will pick it up and attempt to eat them. I did warn him that it’s not all sunshine and lollipops living with me. I’ve been living in Oz for four years now and I still can’t wrap my head around a hot Christmas. Watching people stringing up Christmas lights in nothing but a pair of boardies and flipflops does not say Yuletide to me. Worst of all, I can’t keep any Christmas treats lying around without the ants thinking it’s theirs and coming in droves to cart it away. 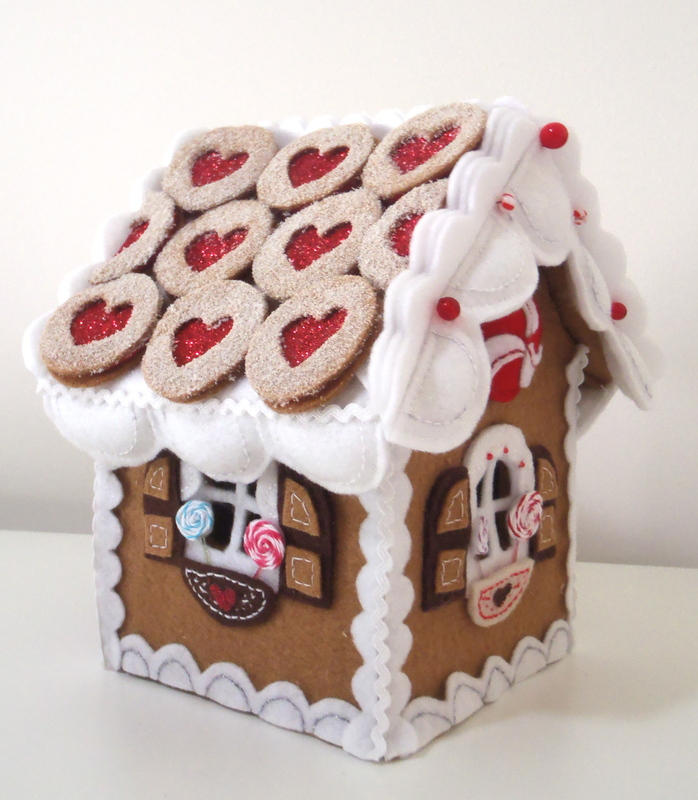 That means no gingerbread house for yours truly. 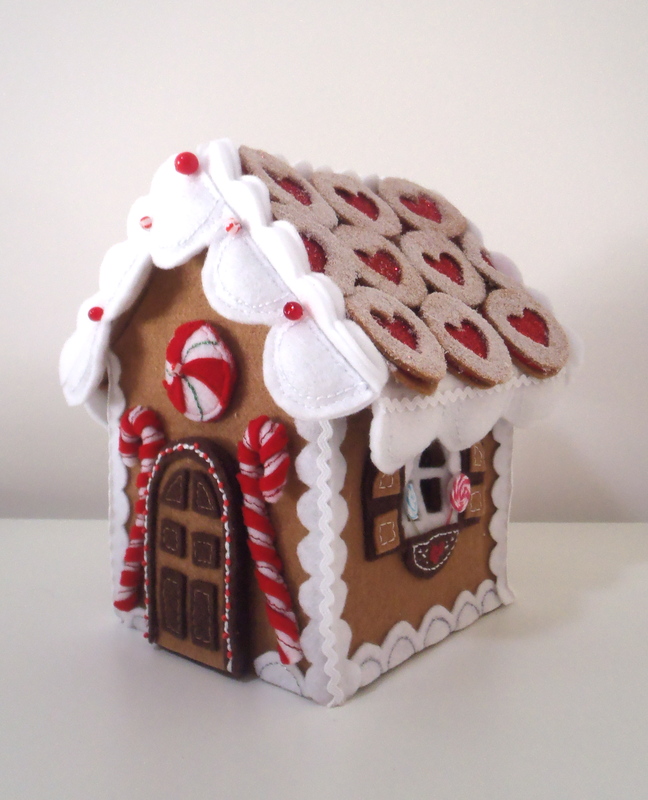 All right, my sewing skills still needs a little work, but the house wasn’t as wonky as I thought it was going to be. Hey, ants! Try to take THIS away! I absolutely love living in Oz, but I do really miss “real” winter: The snow, the ice, the layering up as a defense against the elements…I love it all! 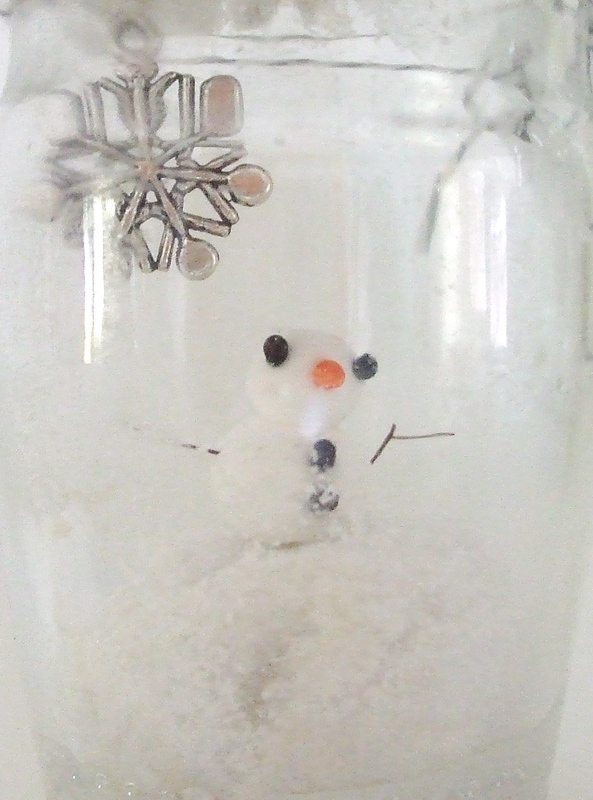 A trip to the Train Museum Workshop in Ipswitch gave me an idea on what to use for snow…I’ve been using fake coconut flakes for miniatures as a substitute, but it’ll run up a pretty penny if you’re making anything other than teeny cookies. The solution? 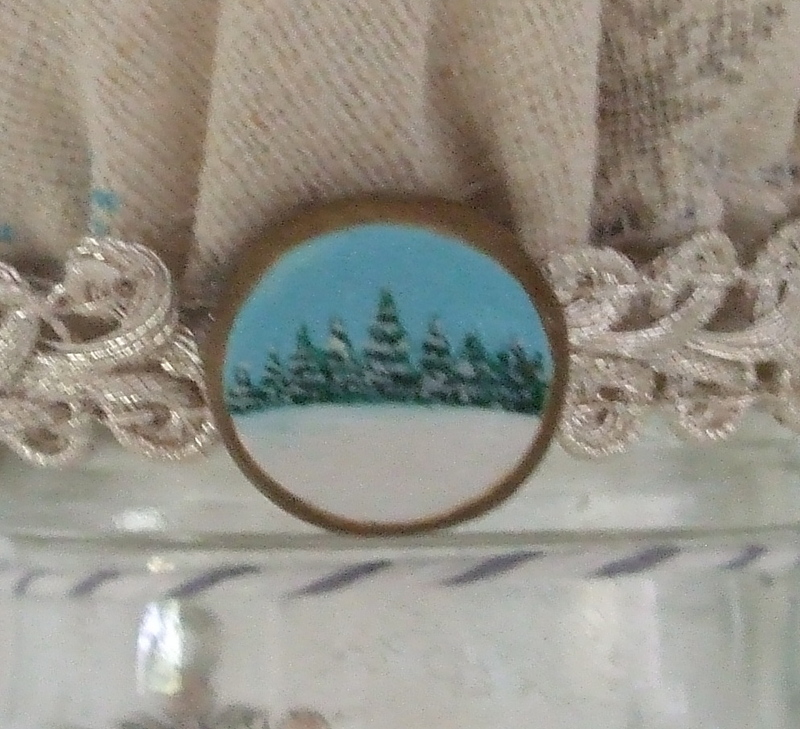 Fake snow from Woodland Scenics! I was wondering what to use for the snowman’s arms when I remembered that I have in my possession a stick of black coral. They’re absolutely perfect for this project! 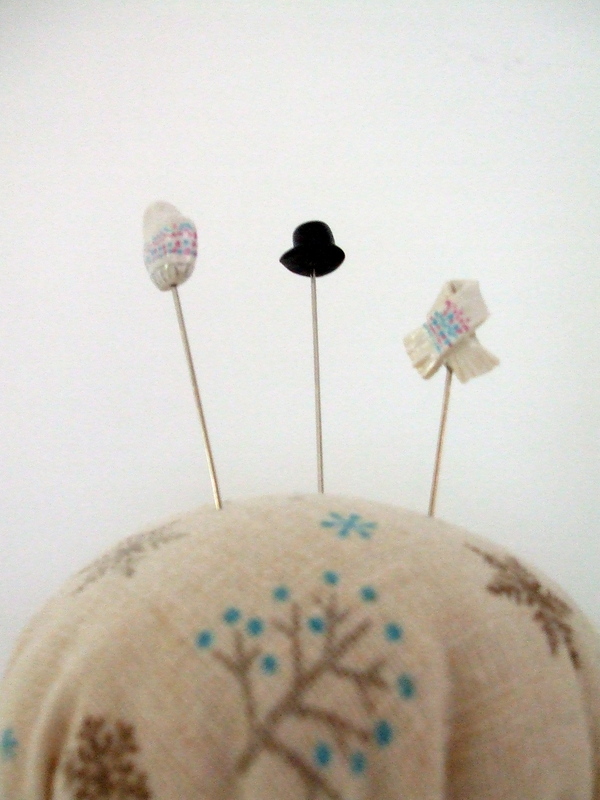 The pins consist of a top hat for the snowman as well as a mitten and a matching scarf. There are precious few horror movies out there that is both terrifying and visually compelling. 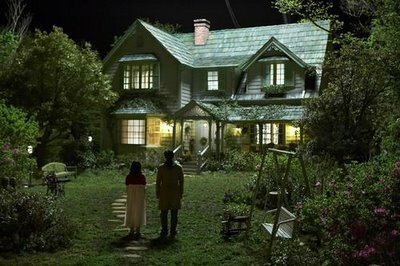 “Pan’s Labyrinth” is one such movie, so is “The Orphanage.” After last night, I’m adding the most excellent K-horror “Hansel and Gretel” into the pot. What a beautifully made movie. Extra kudos to the set designer Ryu Seong-hee, who is now dominating the top of my list of people whose talents I covet. 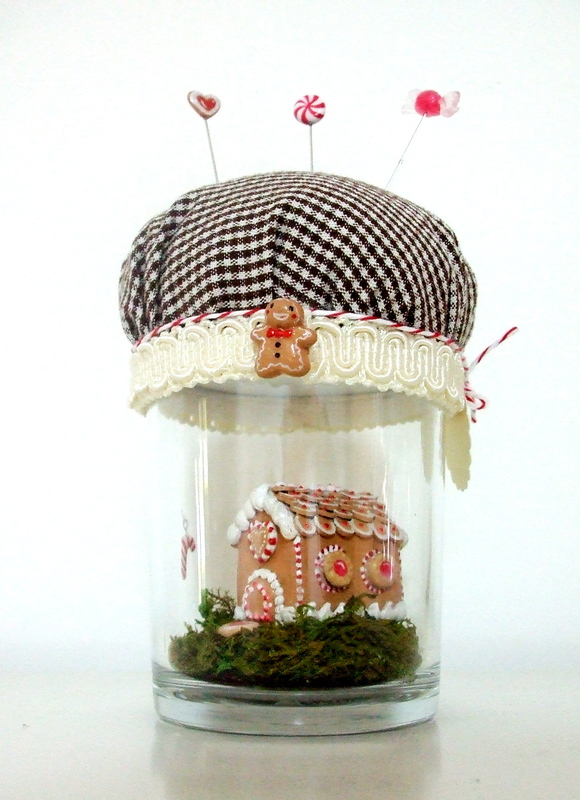 In a way, I wished that I’d seen the movie before creating this Gingerbread House sewing jar so it’d look extra creepy. 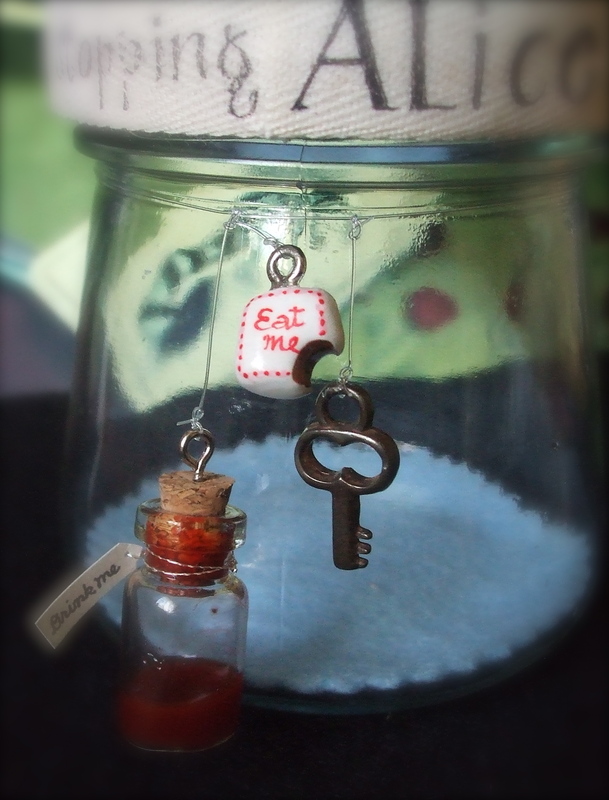 Then again, who wants a creepy Gingerbead House sewing jar? 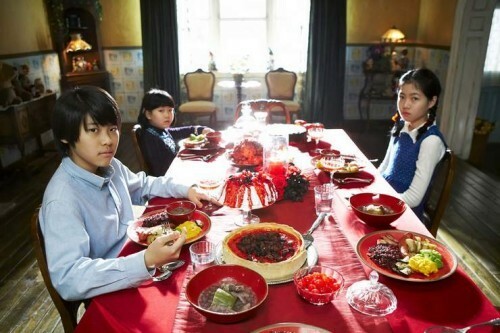 Here are some stills from “Hansel and Gretel” that I absolutely must share! Here’s one of the kids leading the main character into the seemingly jolly “House of Happy Children. The three kids are mesmerized by a sadistic black and white cartoon with low production value in their gorgeous living room. The youngest wondering if the main character would tell her a story. The kids enjoying a sumptuous meal of cakes and other sugary treats. Yum! This film is totally my jam: Sugary treacles for breakfast? Yes! A doll carriage filled with broken doll head? Bring it! Children possessing eerie Twilight Zone-esque powers? I believe I’m having the shakes…And a murderous deacon wearing an Edward Gorey-inspired winter coat? Oh, my god! Here comes a seizure! Sadly, this cannot be rented or streamed off Netflix. Don’t you wish (that is, if you’re a New Yorker) that Kim’s Video is still in business? 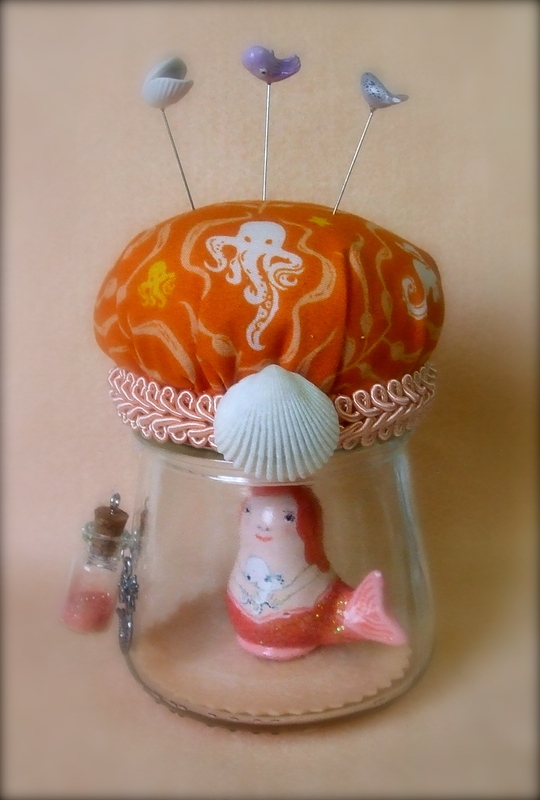 I recently found this fabulous orange octopus fabric and “The Little Mermaid” popped into mind. What’s even better was that I unearthed a forgotten bag of shells and corals from a past kayaking trip that is absolutely perfect for this project! 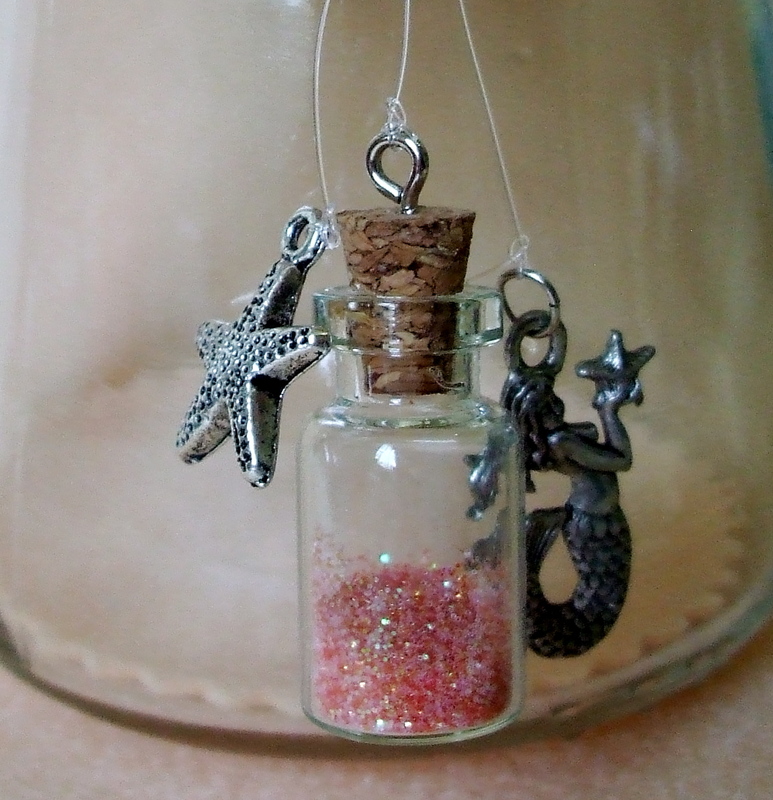 This set comes with two underwater sea critter charms and a bottled up glitter that I like to think symbolizes the voice the little mermaid had to give up in exchange for a pair of legs. 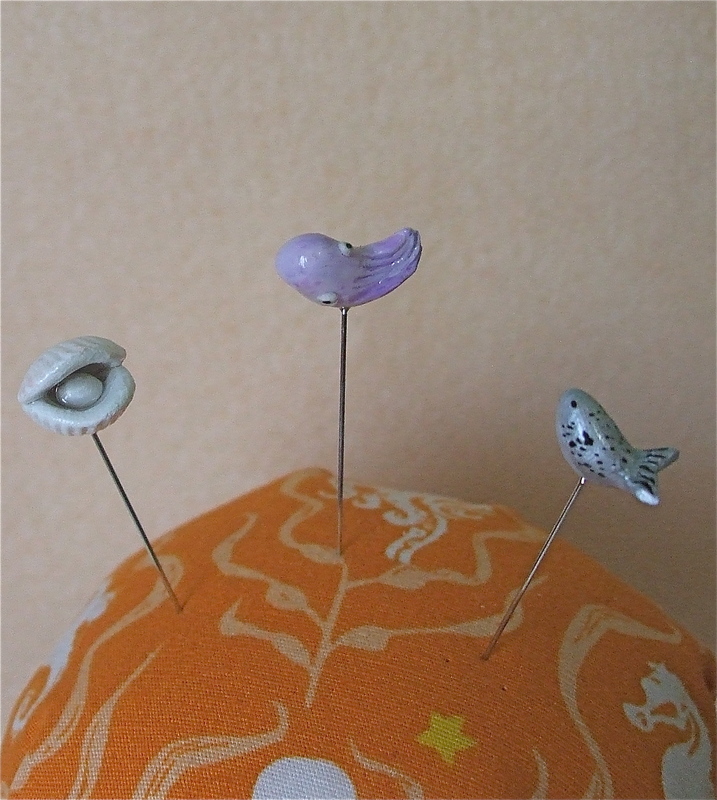 Pin toppers: Oyster with a pearl in it; a purple octopus; silver fish. These weren’t the easiest to make, but there they are. 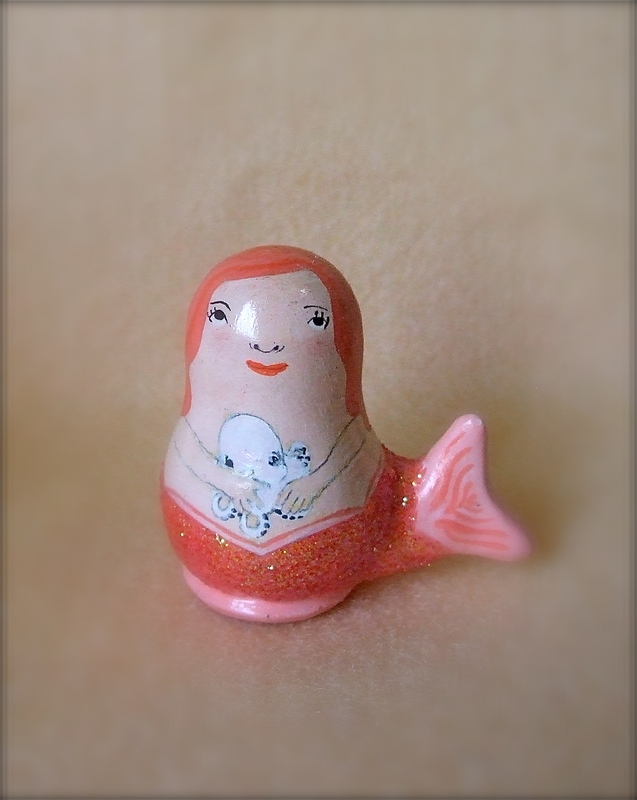 …and the Little Mermaid herself, holding onto what I like to think is an albino baby octopus. She was fun to make because I got to sculpt a little tail on her! 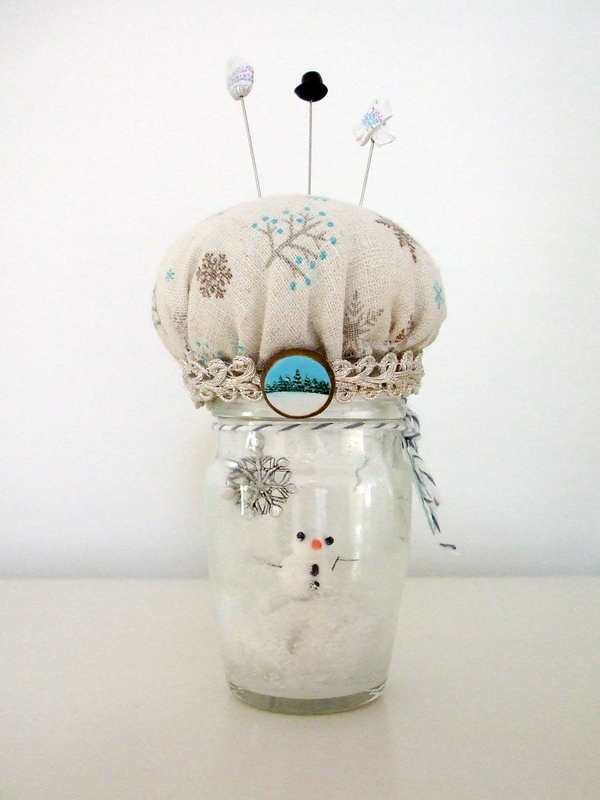 Here’s another button/sewing notions jar! 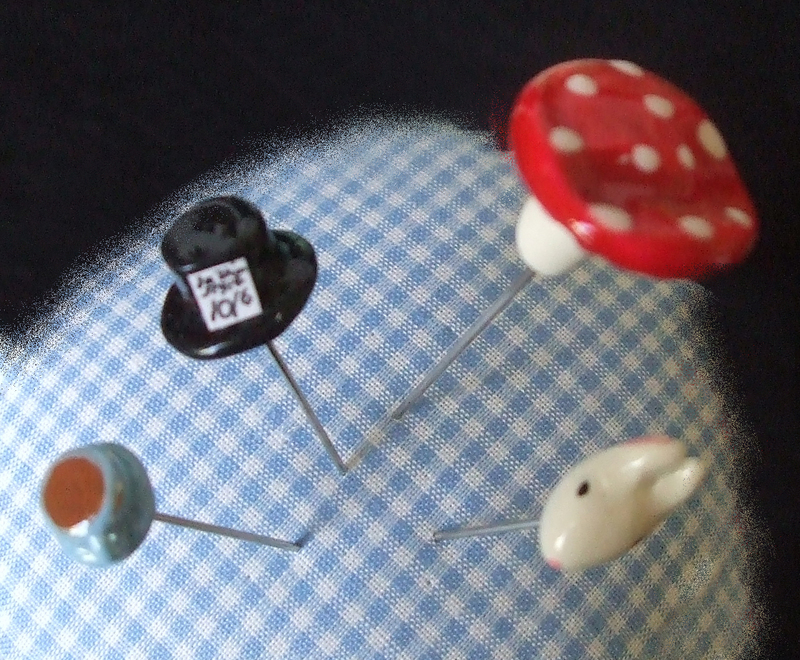 …and four pins made by yours truly! 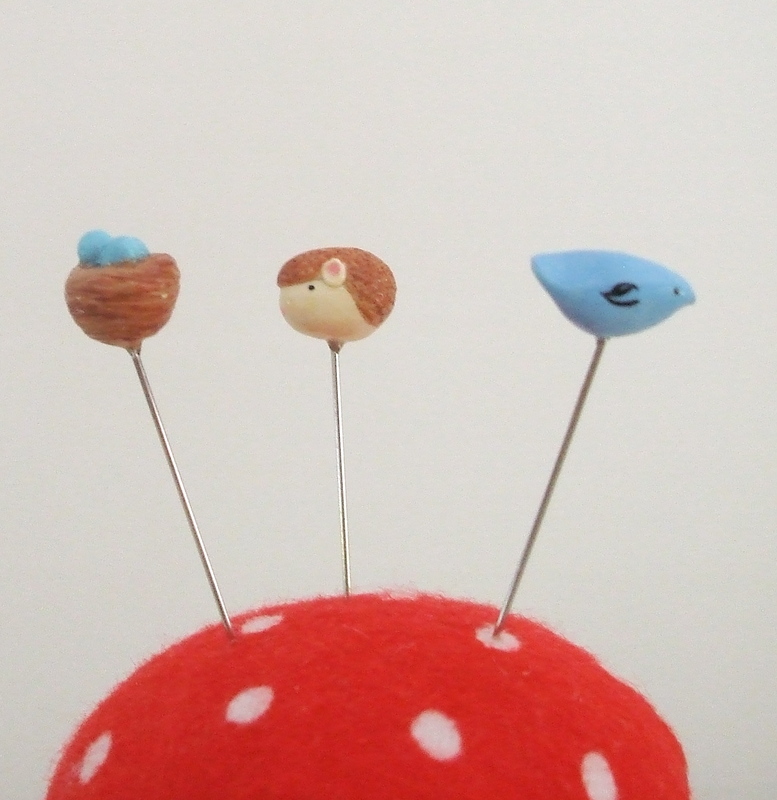 A toadstool, the Mad Hatter’s hat, a rabbit, and a cup of tea. The best part of this is the amazing trim I found. 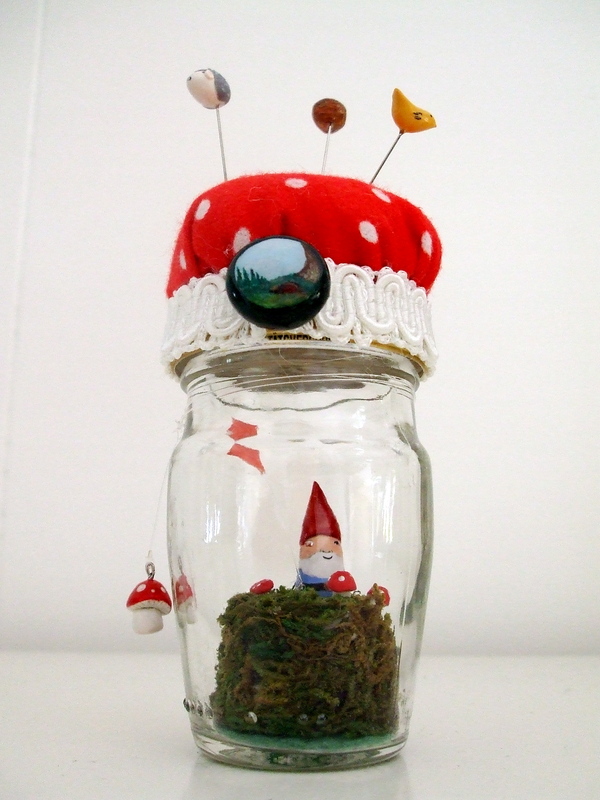 It was EXACTLY what the jar needed. Don’t you love it when that happens? It was a shame that I couldn’t use the entire length for this project, but you can bet that I’ll be using it for other ones!